If you are a regular reader of sadeestye blog, you must be aware of my love with jewellery. Today I'm so glad and very excited to introducing you with Lush Fashion Accessories, which is probably a new name in fashion jewellery. Reason why I'm overexcited is that it's a brand of Pakistan. I'm very happy to see the people from Pakistan taking interest in the fashion industry and I wish more and more people come into the field and fashion industry grow more in Pakistan. LUSH is an online store which provides their customers with elegant and one of a kind jewellery pieces at very affordable prices. I got to know about the brand through an email. I immediately jumped into the website and was very happy to see an astonished range of modern jewellery. It's usually hard in Pakistan to find such kinds of jewellery in local stores. The things that first caught my eyes was the Pink Stone Swarovski Ring and Titanic Blue Crystal Swarovski Ring. I was confused between these two when the girl from Lush Fashion Accessories recommended me to go with Tribal Love Statement Necklace. 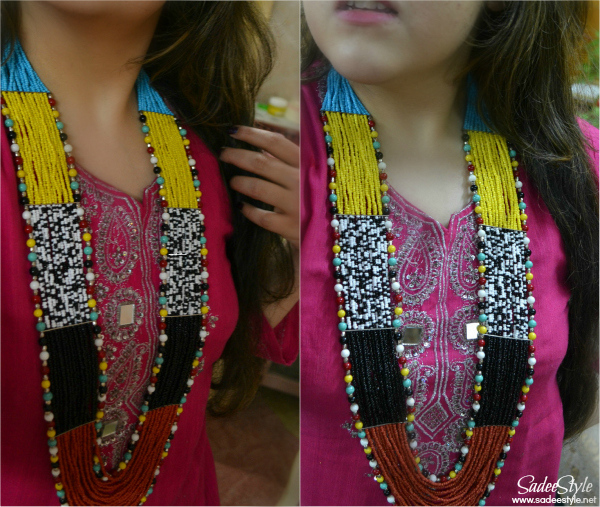 She claimed that this necklace is one of the best quality product at their range so I ended up with Tribal Love Statement Necklace. I received the parcel right after the next day. Honestly I was shocked to see the fastest delivery ever! 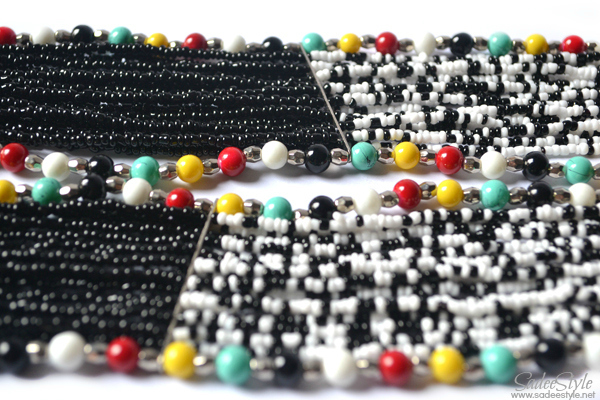 And, when I opened the package I saw a very beautiful pouch with heavy necklace inside immediately opened it and the first word that came in my mind was ''yeah she was right, it's really an incredible necklace'' I got a beautiful statement necklace with matching earrings. Before I continue let's have a look the necklace. Before I start talking about the necklace, I must comment on the packaging in which Tribal Love Statement Necklace arrived. It was no doubt a beautiful pink and golden pouch and I was impressed at first sight. 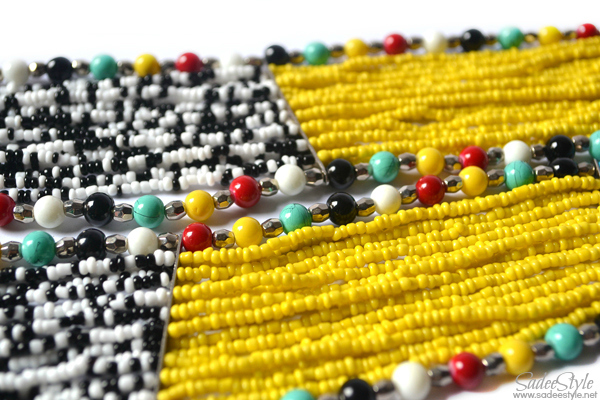 I love how they combined thousands of high quality multi colored beads together. 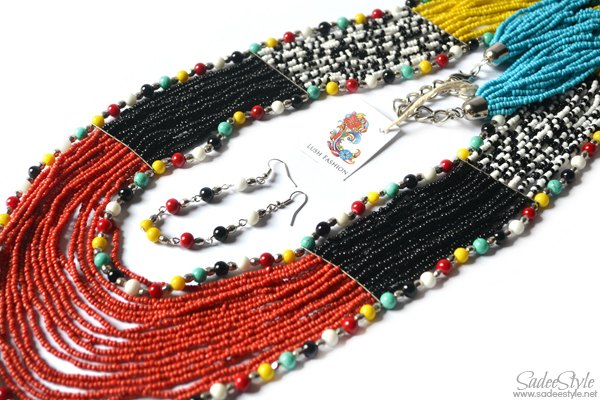 If you can see in the images above that the outer lines of the necklace are made with brightly colored beads of many different colors, sizes and textures including aqua, yellow, black n white, jet black and red beads. The only downside for me is that it's a bit heavy in weight. Overall I'm in love with the necklace which comes along tiny ear-rings. Although ear rings are too small and not very noticed able, but they will go fine with heavy looking necklace. Lush Fashion Accessories have a collection of jewelry pieces in brass, gold plated, silver, metal casting, rhinestones, leather, swarovski necklaces, rings, bracelets, necklace set, hair accessories pendants. 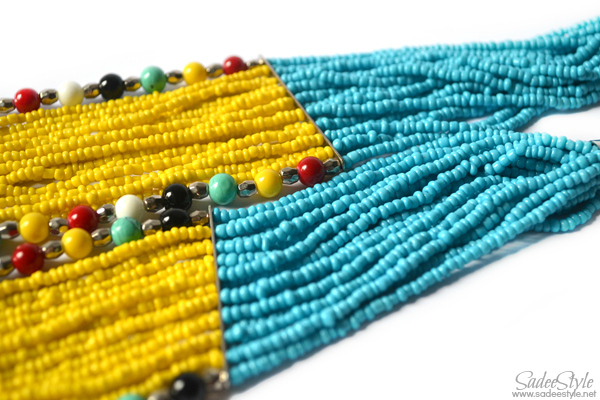 Made with high quality beads. 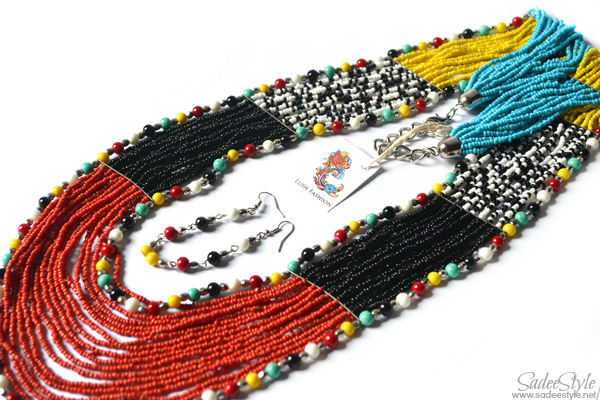 Multi colored beaded necklace can be wore with many different dresses. 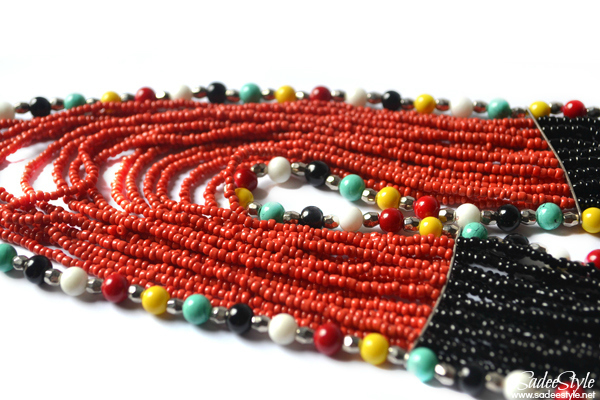 Tribal Love Statement Necklace is extremely well made. Ear rings are very small and not very noticeable. I love everything about the necklace, and would highly recommend it. Its looking great. I really love that type of jewellery . Beautiful piece sadee , pretty post ! I love statement necklaces! gorgeouss!!! Yay!!! 5 of 5!!!! Great work LUSH! Don't worry - still following you on GFC. :) And other platforms of course! I have you in Google+ too. Very pretty. I also love the top. Wow just gorgeous, btw you have a great blog, would you like to follow each other ? Let me know !